After the death of Śrī Rāmānuja, Parāśara Bhaṭṭa (Born 1074 AD) continued the work of propagating Viśiṣṭādvaita philosophy, and he was succeeded in turn by Nañjiyar. A Nañjiyar’s foremost disciple was Nam-piḷḷai (Kali-vairi-dāsa) who was gifted with such deep erudition and expository skills, that he was given the title of 'Lokācārya'. Nam-piḷḷai, who was resident in Śrī-Rangam, had a very studious disciple by the name of Śrī Kṛṣṇa-pāda who did not wish to get married, but his mother foiled his plans to remain a bachelor by arranging his marriage at a very early age to a girl named Śrī-raṅga-nācchiyār. He was studying under Nam-piḷḷai and was engaged in documenting all the teachings. After a year of marriage, Śrī Kṛṣṇa-pāda’s mother complained to his Guru Nam-piḷḷai that her son was not consummating the marriage and thus there was no progeny. Nam-piḷḷai admonished his student to follow the dictates of his mother. After much procrastinating he finally did the deed and thus Piḷḷai Lokācārya was born in the Krodhana year, Aippasi month under the constellation of Śrāvaṇa-nakṣatra corresponding to 1264 AD. He is known to have lived for 105 years. Kṛṣṇa-pāda named his son after his own Guru — Lokācārya. After another three years, Kṛṣṇa-pāda had another son and named him after the Lord of Śrī Raṅgam — Ramya-jāmātṛ Deva (Aḷagiya Maṇavāḷa Perumāḷ Nāyanār). Both the boys also studied under Nam-piḷḷai. One day a friend of Śrī Kṛṣṇa-pāda happened to remark that had he not been forced to marry, he would never have had the great fortune of presenting to the world two genius sons for the propagation of the Śrī Vaiṣṇava Dharma. Śrī Kṛṣṇa-pāda grudgingly agreed but affirmed that Hanumān and Bhīṣma — the eternal bachelors were still his ideal role-models and had he been given a choice, he would have chosen a celibate life. The two boys overheard this conversation, and they there and then resolved never to marry but to dedicate their lives to propagating the teachings of the Dharma to the common-folk with unswerving devotion, dedication and determination. After the passing away of Nam-piḷḷai and Śrī Kṛṣṇa-pāda the Vaiṣṇavas gathered around Piḷḷai-lokācārya for instruction and guidance. Piḷḷai-lokācārya who preferred a solitary and tranquil residence moved to a temple of Lord Narasiṁha in the outskirts of Śrī Raṅgam and it was here that he delivered discourses on Dharma to all who would listen. He taught in a very simple and skilful manner which is reflected in his writings. Piḷḷai-lokācārya opposed all differences based upon, caste, gender, nationality etc. He exemplified the doctrine that the universe was the body of the Lord and all beings are necessarily a part of Him. For the true Śrī vaiṣṇava, the cosmos is one without any distinction whatsoever; Lord Nārāyaṇa is the Father, Lakṣmī the Mother — They are the Divine Parents and all sentient beings are their children. A Vaiṣṇava ought not to assess the faults of others, he should regard all with equal vision and seek the good of all beings (loka-saṅgraha) and be beneficent to all. 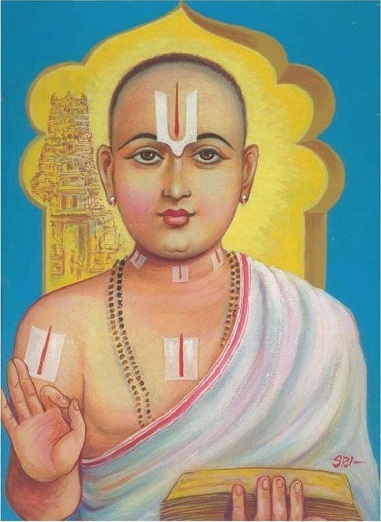 All this revolutionary Dharma activity did not go unresisted and there were many that complained to Lord Raṅga-nātha through the Arcakas (priests) that Piḷḷai-lokācārya was doing immense harm to tradition by preaching the concepts of equality and fraternity and by writing down the Secret Doctrines. When called upon to explain their conduct, Aḷagiya Manavāḷa Perumāḷ Nāyanār appearing on behalf of his brother, stated that what they were doing was merely clarifying the Sacred Doctrines for the benefit of the less learned but competent disciples. Śrī Raṅganātha is stated to have endorsed this explanation and confirmed the title 'Lokācārya' (World Teacher) for the ācārya. He also directed Nāyanār to compile all the statements now made into a text called 'Ācārya Hṛdayam' and that this text too should receive equal veneration to the works of his elder brother. Piḷḷai-lokācārya wrote 18 treatises on the Secret Doctrines of Śrī Vaiṣṇavism, all of which are preserved; among them - Śrīvacana Bhūṣaṇa - The Ornament of Auspicious Teachings - the crowning masterpiece dealing with all the fundamentals of Śrī Vaiṣṇavism, which you can read on the following pages. 1. Scriptural Authority. 2. Glory of the Mediatrix and the necessity for mediation. 3. Taking refuge 4. The theological manifestations. 5. Persons eligible to take refuge in the Icon. 6. Prapatti — Taking Refuge 7. Dependence on the Lord (paratantrya). 8. Attributes of the jīva 9. Self-identity 10. Upāya and self-effort. 16. Servitude 17. The spiritual quest 18. Renouncing other means 19. Scriptures and their prescriptive injunctions. 20. The glory of Taking Refuge. 21. The Lord & the defects of the jīva 22. The performance of Prapatti as a means. 23. Initiative of the Lord 24. The importance of mediation and the greatness of Lakṣmī 25. The love relationship between the Lord and the jīva. 36. Program for Spiritual development 37. Benediction of the Lord (maṅgalāśāsanam) 38. The conduct of the Prapanna 39. Wisdom, devotion & dispassion. 40. Those who should be avoided. 41. Positive qualities to be developed. 42. Service (Kainkaryam) 43. Stages of Spiritual Unfolding 44. The four attributes of the Prapanna. 45. The four categories of forbidden acts. 46. Teacher — disciple relationship. 47. Mental turpitude 48. Being Critical 49. Forbearance & tolerance. 50. Self-analysis. 51. Karma & Grace 52. Unintentional good deeds (yādṛcchika sukṛta) as the basis of the Lord’s Grace. 53. The futility of Self-effort 54. The Lord’s enthusiastic attempts to reclaim the jīvas 55. Grace, Karma & compassion. 56. Anxiety & confidence 57. Importance of taking refuge in a Preceptor. 58. Importance of Saṅgha. 59. Devotion to the Ācārya (Ācārya-abhimāna) 60. Enemies, friends & neutrals. 61. Right Knowledge and Right Practice 62. Offences 63. Sexuality 64. Adjuncts to the four upāyas. 65. Dedication to a preceptor. Piḷḷai-lokācārya wrote in 'Maṇi-pravāḷa' which is a blend of Sanskrit and Tamil and adopted the literary device of short, cryptic and pithy sentences, popularly known as 'sūtras'. Thus we see that Piḷḷai-lokācārya not merely describes and annotates the doctrines of the Śrī Vaiṣṇava tradition, but greatly dilates and elaborates on them thus earning him the title of Lokācārya (World-Teacher) — who dedicated his life to the spiritual regeneration of humankind (adhyātma -punar-ujjīvana). An ordinary individual caught up in worldly existence cannot protect and liberate himself. For this he needs the aid and assistance of an ācārya. A compassionate ācārya (dayālu) teaches the precepts and enlightens the disciples once a proper relationship has been established between the two (ācārya-saṁbandha). But a 'most compassionate' ācārya (Parama-dayālu) writes down the precepts and teachings for the benefit of all those who cannot obtain personal contact with him because of the constraints of time and space; and for the use of future generations as well. Piḷḷai-lokācārya belongs to this class of 'Parama-dayālu' ācāryas. When Muslims invaded the Temple at Śrī Raṅgam, Vedānta Deśikan undertook to protect the Holy Scriptures. Piḷḷai-lokācārya took upon himself the duty of protecting the sacred Icons. In spite of his advanced age and failing health he accompanied the temple priests who taking the icons under the cover of darkness headed for the safety of Tirupati. Overcome by the hardship of the journey he resolved to rest at a cross-road and to gain time for the refugees by mis-directing the Muslim soldiers that were pursuing them. After they had realised they had been misled the soldiers returned and skinned the venerable ācārya alive and left him to die in agony! He left his body on the twelfth day (Dvādaśi) of the dark fortnight (Kṛṣṇa-pakṣa) in the month of Jyeṣṭhā — corresponding to the year 1369 AD. Vedānta Deśikan managed to escape with the text and the two sons of Ācārya Sudarśan Suri, who himself was murdered in the temple along with all the disciples to whom he was lecturing at the time.